Cascades is a recently renovated apartment community located in the heart of the Dominion Neighborhood in beautiful Fresno, California. Our newly upgraded complex has 1 and 2-bedroom apartments and 2-bedroom town homes for rent. Cascades is surrounded by tranquil ponds, fountains, lush acres of grass, and large shade trees. Our exclusive community is minutes away from Woodward Park, River Park shopping center, a public library, and great restaurants, making us the ideal spot to live. Cascades is located within Fresno’s most sought-after school district. Schools within the AWARD winning Clovis Unified School District include Valley Oak Elementary, Kastner Intermediate School, and Clovis West High. Clovis Community College is about a ten-minute drive away, while Fresno State University is 15-20 minutes away. 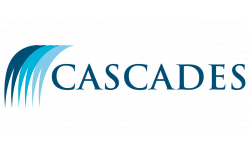 Coming Soon: Exciting things are happening at Cascades! You are sure to love our reimagined clubhouse, resident lounge, mini-golf and state of art fitness center featuring brand new equipment and free weights. Other community amenities include three sparkling and refreshing pools (including cabanas), two spas, and a professional business center. At Cascades, you can whip up a gourmet meal in your new kitchen that’s sure to impress. Apartment amenities include kitchen appliance packages with upgraded stainless steel appliances, granite countertops, ceiling fans, and vaulted ceilings. At Cascades, we have 11 unique floorplans to choose from. Whatever your preferences, our 1 and 2-bedroom floorplans and 2-bedroom townhome designs are sure to suit your needs. Each innovatively designed floorplan features an attached garage and a wood burning fireplace. Our floorplans range in size from the “it’s bigger than a studio” 818 square feet to a whopping 1359 square feet. We invite you to experience the everyday convenience and serenity at Cascades. Come visit us today!